Please be advised that the clinic will be closed on December 21-26 as well as December 31-January 1. Thank you for cooperation. Horizon Health Medical Clinic is a collaborative, team-based family and specialist paediatric practice located in St. Albert, Alberta. We are committed to providing the highest standard of care to our patients. Our team includes experienced general practitioners, paediatricians and nurses and highly trained staff who work together to provide quality medical care in accordance with recognized best practices. We are dedicated to providing comprehensive care that brings into play all aspects of health; this includes preventative health monitoring and working with our patients to promote healthy lifestyles. We strive to ensure patients receive timely access to care and as such welcome both appointments and walk-ins. 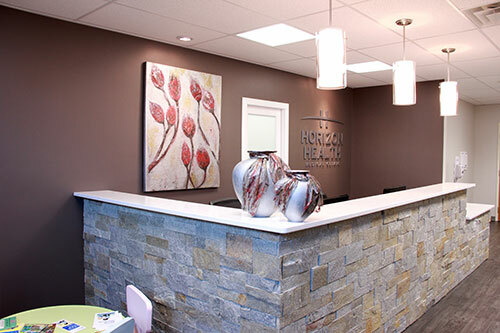 All physicians at Horizon Health Medical Clinic are members of the St. Albert and Sturgeon Primary Care Network. Due to high patient load and wait times the clinic will no longer offer walk-in services. This will serve to try and reduce office wait times for our patients. Measures have been taken to accommodate sudden or urgent matters. If you are a patient of our clinic, please phone our office if needed and we will do our best to find a suitable appointment for you as soon as possible. Thank you for your understanding.